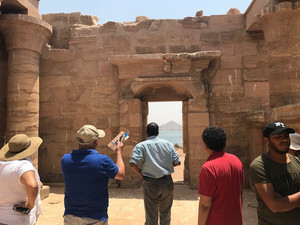 „Heritage Management and Storytelling“ is the topic of Cologne Aswan Summer School in Heritage Studies (CASSHS) 2017, which will take place in Cologne and Aswan from August 9 till 29, 2017. The Summer School is a collaborative project of University of Cologne (UoC)/Egyptology, Arab Academy for Science, Technology & Maritime Transport (AASTMT) Aswan/Archaeology and Cultural Heritage Unit, Nubia Museum Aswan, Nile Museum Aswan, with the participation of TH Cologne/Cologne Institute of Conservation Sciences. 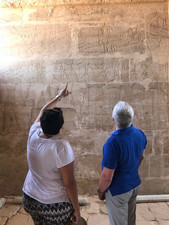 Classes will be taught by colleagues from the above mentioned institutions, by lecturers from Archaeology and Practical Philosophy (UoC), and by guest scholars. The concept of CASSHS is multi- and transdisciplinary. 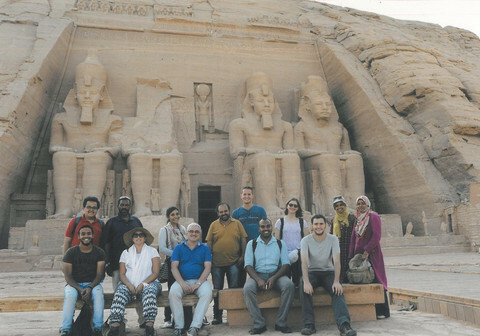 Student participants will be from Arab Academy for Science, Technology & Maritime Transport, University of Cologne, TH Cologne, or from one of the other participating institutions, as well as from different disciplines with an affinity to the topic and to heritage studies in general. Trips to heritage sites in Germany and in Egypt are central to the teaching concept of CASSHS. Moreover, the participating students will untertake explorative field research projects in mixed groups of students from Aswan and Cologne. In a final public presentation the research groups will inform about the projects and their outcomes.